Monday marked Costco’s official switch from its exclusive partnership with American Express to Citigroup and the first day the wholesale club accepted only Visa credit cards, whether the co-branded Costco Anywhere card or any other Visa card. Costco members who had one of the club’s American Express co-branded cards should already have received their new Costco Anywhere card in the mail, and the old cards will automatically be canceled, Costco said. 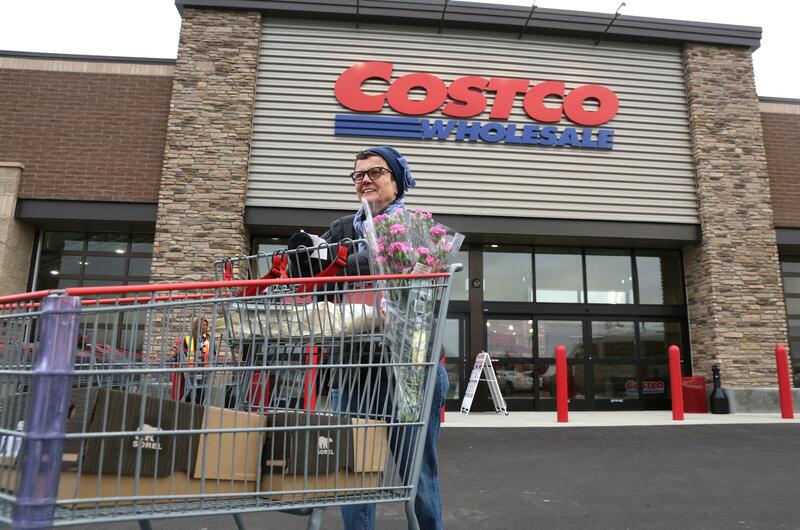 A “really, really minimal” number of shoppers told Costco they didn’t want the new card, most likely because they already have a Visa card, said Costco spokeswoman Bev Akada. Monday was also the first day Costco members who did not automatically receive one of the new Visa cards could apply for one at a Costco warehouse or at citicards.com. New members, or those who had previously opted not to apply for a co-branded American Express card, would not have automatically been sent a Costco Visa. The new cards offer slightly better cash-back perks than the co-branded American Express cards. Costco members with the Anywhere card can earn 4 percent cash back on up to $7,000 spent on gas, as well as 3 percent on restaurants and eligible travel, 2 percent on Costco purchases, and 1 percent on everything else. The card doesn’t have an annual fee, but shoppers will need to pay for a $55 annual Costco membership. The American Express cards provided 3 percent cash back on gas up to $4,000 per year, 2 percent on restaurants and eligible travel, and 1 percent on other purchases. The cash-back benefits above don’t apply to customers paying with other types of Visa cards, but J.P. Morgan Chase last week boosted its cash-back benefits to Chase Freedom credit card holders. Chase gives Freedom card holders 5 percent cash back on up to $1,500 spent at particular types of stores that change each quarter in addition to 1 percent back on other purchases. Wholesale clubs got the extra cash back during the second quarter, ending June 30, but Chase is extending the increased cash back through the end of the year, said Chase spokeswoman Rebecca Acevedo. Chase wanted to make sure cardholders knew they could now use their Freedom Visa cards at Costco, Acevedo said. “We definitely find grocery shopping is one of the No. 1 things people use their cards for,” she said. Customers won’t lose cash-back rewards earned on Costco American Express cards up to June 20 – they’ll move to the new Visa cards, as will any outstanding balances, Citigroup said. Other American Express membership benefits won’t transfer to the new cards, American Express said. Published: June 20, 2016, 12:57 p.m.